Google can’t seem to stop making social networks and messaging apps. In fairness, the just announced Spaces is referred to as a tool for small group sharing. 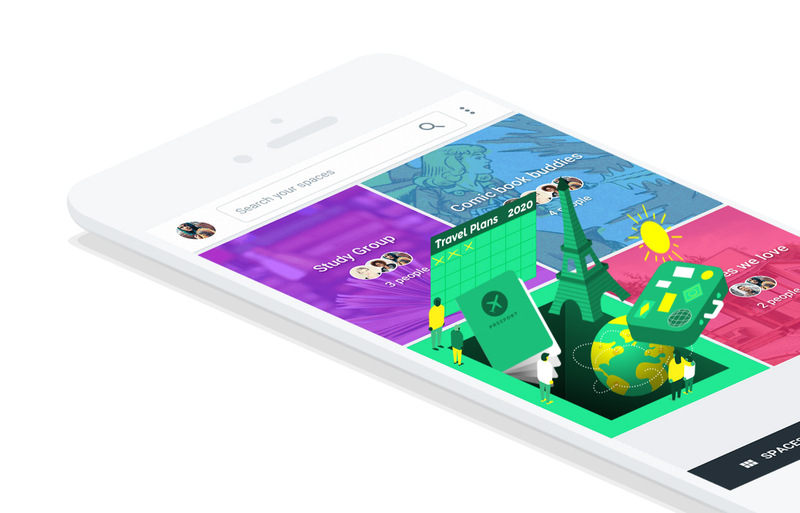 While similar to the Communities feature that Google+ is now built around, the new app seems like a much more focused version of group messaging that better highlights content. After making or being invited to a topic, users can quickly share articles, videos, and images without leaving the Spaces app. Google Search, YouTube, and Chrome are all built-in. A big focus of the app is to make sharing more seamless by cutting down on manually copying and pasting links. The browser in Spaces has a big send button to automatically add content to Spaces. The app features a group messaging thread that will notify you of what members in the group are submitting and talking about. Spaces features a search engine to find previously submitted content and has a view to sort by links, photos, and videos. Users can make a space and invite users through a simple link. Google is announcing Spaces today as the company will be experimenting with it at Google I/O later this week. Each I/O session will have its own space so that developers can connect with each other plus Googlers. Spaces is rolling out today on Android, iOS, desktop, and mobile web for all Gmail accounts. There are apparently some surprises in store as well. Google recommends those attending I/O have Spaces installed before they arrive. You'll be able to follow that recommendation soon. Links to the app aren't live yet, but it will probably be available at the URL below. For now, feel free to cruise around the Chrome landing page and preview some of the fun.